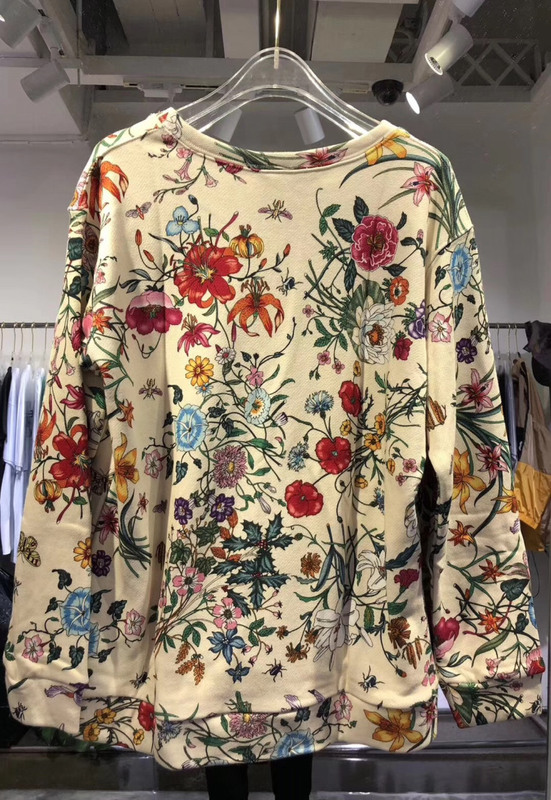 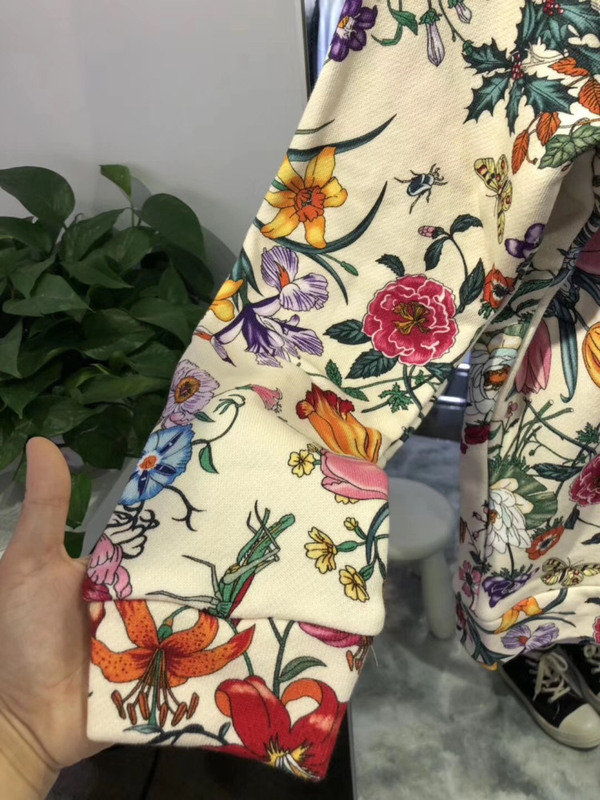 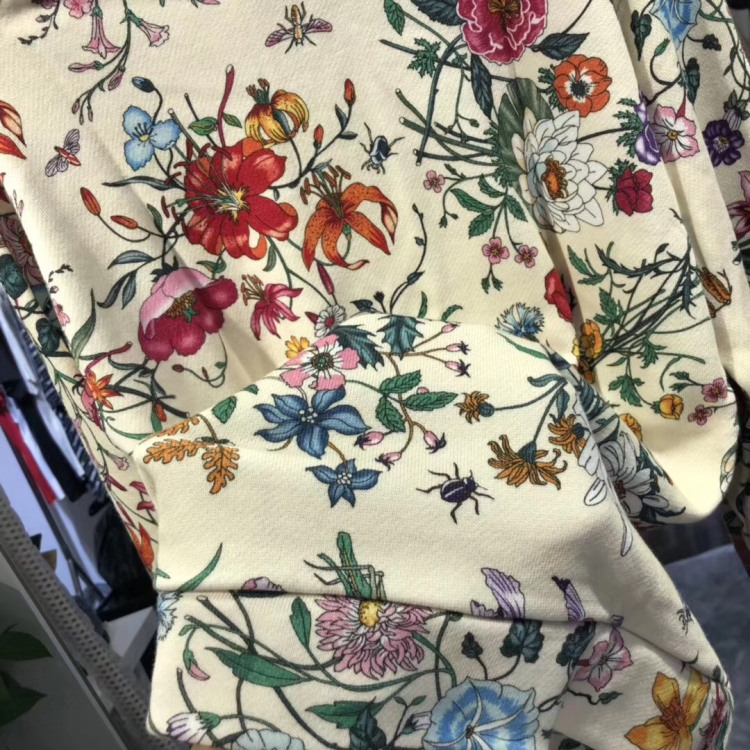 Designed by artist Vittorio Accornero in the '60s, the Flora motif is refashioned in an oversize sweatshirt, a style that has become synonymous with the House. 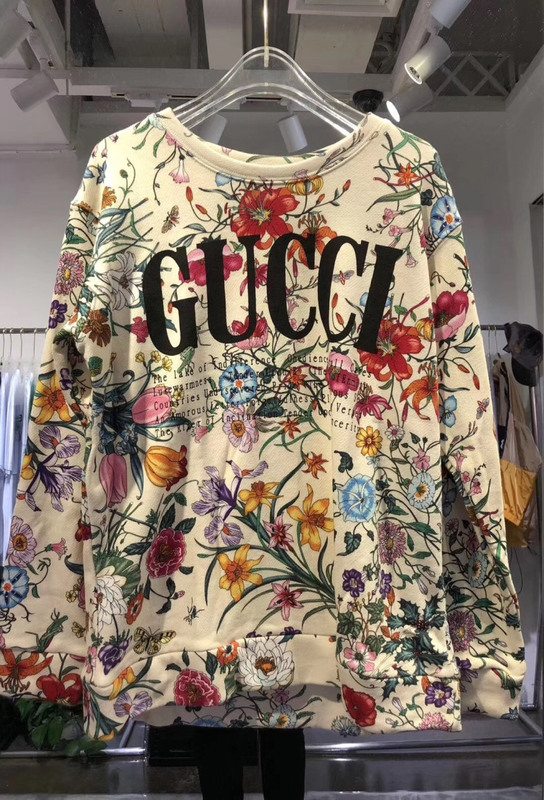 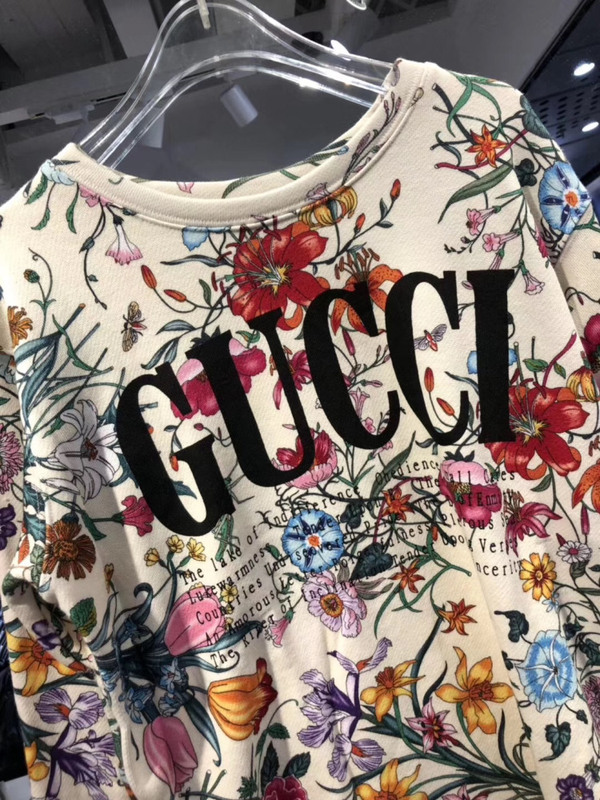 The names of metaphorical terrains love must navigate are listed underneath the Gucci logo. 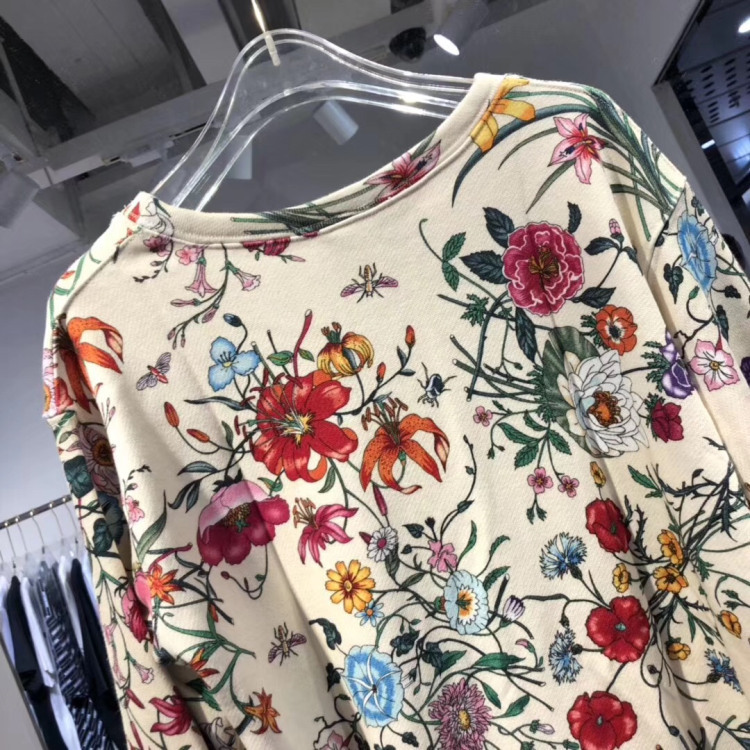 The terrains are from the 1654’s 'La Carte de Tendre' — the map of an imaginary land conceived by French novelist Madeleine de Scudéry, which already appeared in Gucci's Spring Summer 2016 collection.